Feels like I've been gone from this blog for a long time! I'm home now from our wonderful family vacation and finally settled back in. Funny how it takes so much work to get ready for a vacation and so much work getting used to being home again, right? 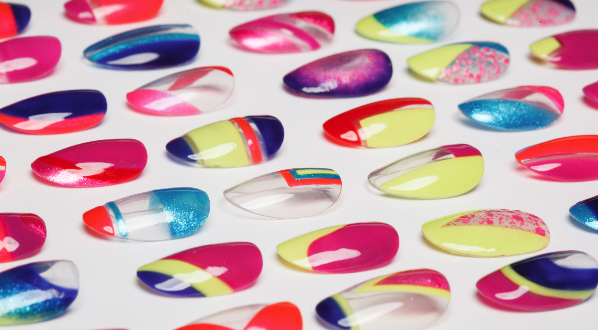 I have a lot to show you today from Naild' It Summer "collection". She told me they don't necessarily fit into a collection, just that these have all been released this Summer. You can find Naild' It on Facebook. Naild' It PURP...Excuse Me!! This is one coat over black. All swatches have HK Girl top coat. This was easy to apply and fishing for glitters wasn't necessary. Naild' It Sugarmess Glum. Three coats shown here, good formula, the only challenge being the abundance of glitters, some on the large size, which often make application a bit tricky. 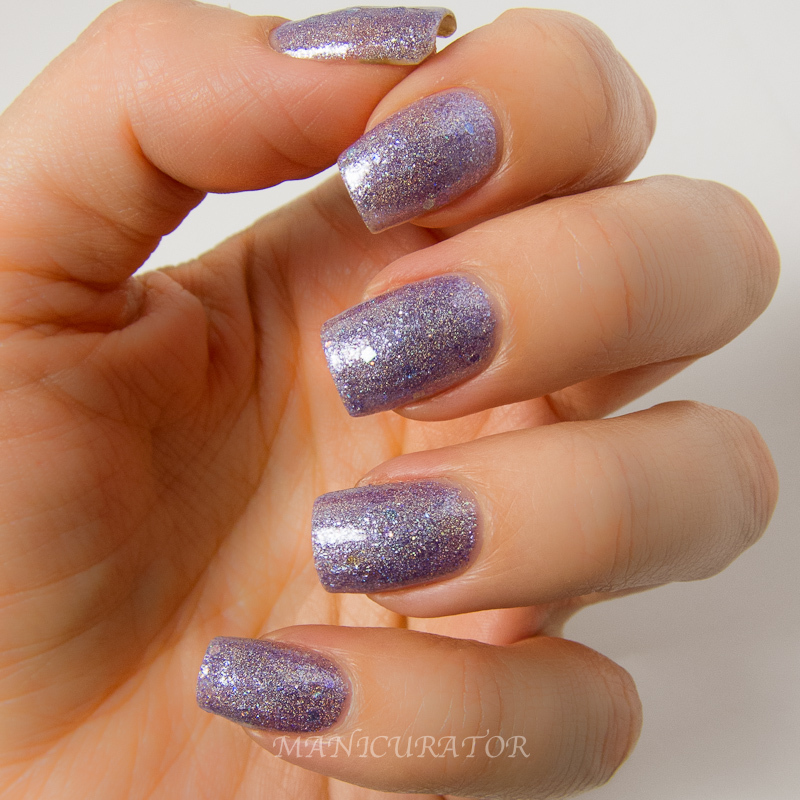 Naild' It Lilac Electra. 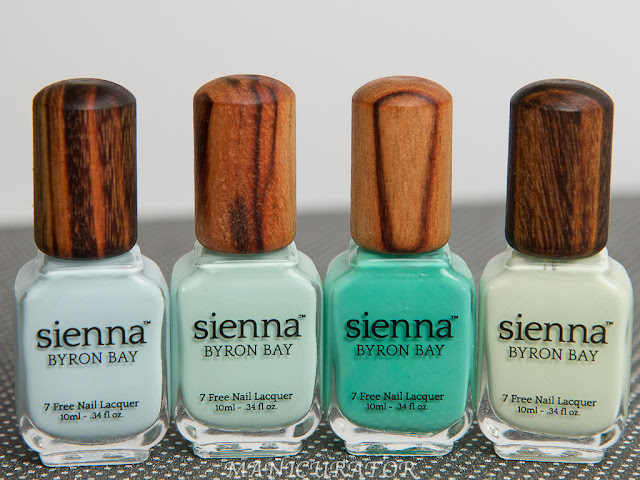 Three coats here, but you can easily layer one coat over a base color. Good formula, no issues with application. Naild' It Eeky Ink. Two coats shown. Great formula, no issues in application. Naild' It Salmon Run. Two coats here. Great formula. This one really one me over. Perfect for Summer, but any season really. Naild' It Holo!! My Name Is. Holo shift polish, this is 1 coat over black. No issues in formula or application. Naild' It Bull Shift. Really amazed by this polish. Pictures don't even do it justice. I have 1 coat over black here. 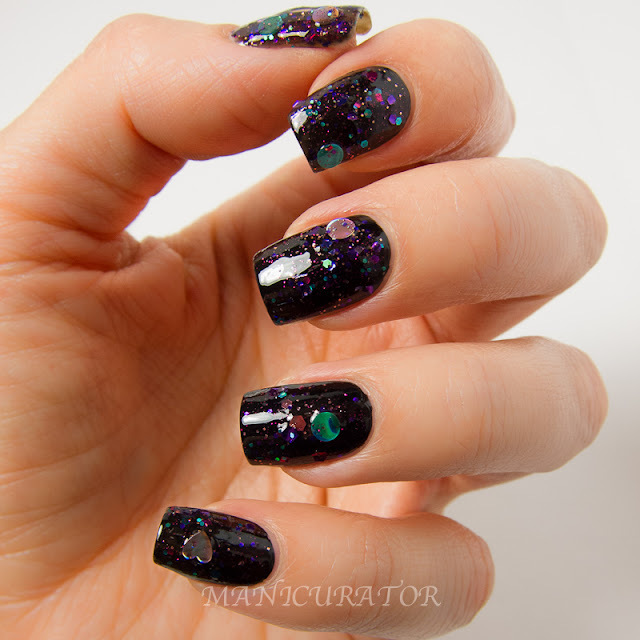 Every angle shows a color shift and holo that really stuns. Naild' It Abyss Kiss. 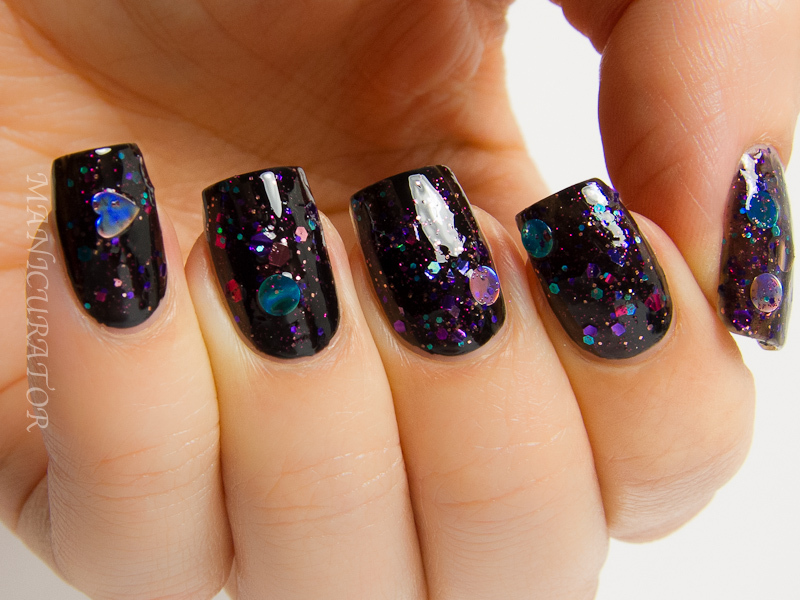 Three coats needed to cover nail line, you may want to layer this one over a similar color. No problems with formula or application. I like all of the ones I've shown you but if I have to pick my must haves they would be Salmon Run and Bull Shift. How about you? Hope you enjoyed and stay tuned for regular posts, now that I'm back and settled in. All nails are beautiful!!! Loved. Salmon Run is gorgeous. I have it and absolutely love it. Now I see some more I need!